The International Association of Quilters – IAQ Quilt Group 2018 Schedule is here! The whole year of 2018 is being laid out so you can take a quick look at what the projects are, who the designers are and what the year is going to bring for members of the IAQ. In the past, the projects have been kind of hidden at the beginning of the year. This year- you’ll get to see what we’ll be working on, and let me tell you- they are awesome! Before I begin with all the goodies though, here’s a quick look at the group and what it’s about. 1- The International Association of Quilters was founded 4 years ago- by me, Becky of Patchwork Posse. It’s an ONLINE quilt group. No travel needed (except for the retreat coming in the fall of 2018!!). Everything is online. You login, you have access to the patterns and community area. 2- There are monthly designers who are our guests. They share an exclusive pattern with only members, plus a trunk show and interview. This year we have an addition to this- you’ll see this further down. 3- The community is a spot where you’ll find other members, the designers and me. You’ll be inspired, find answers to your questions and the support and encouragement you need. There is a private community on the site as well as a new private fb group this year. 4- You’ll have full access to all the patterns from the previous years (that’s a lot of patterns! ), plus everything for 1 year from when you become a member. 5- You can join only 3 times per year, so the best time to join is now. This is going to be epic. Over 40 quilt blocks are sewn up for this king size quilt. Each block has a fun twist with the light and dark fabric placement. The sewing assignments will be a little heavy, but the patterns are simple and only patchwork. There will be a lot of activity on this year long. The previews above are samples…..not the best, but just to give you an idea of the possibilities. The quilt is based on an antique quilt sampler, and while many of them have the year they were made in the name- I went with that as well. This quilt would be beautiful in civil war fabrics, your fabric stash or pick your favorite fabric line to sew with. The center features the tree of life, surrounded by fun borders, quilt blocks and a lot of half square triangles. We will be beginning in January and end in December. This is one quilt I am really looking forward to finishing up! This is part mystery! The Question marks will be replaced with quilt blocks monthly. This is something new this year– and involves the Guest Designers! So excited. Even I don’t know how this will turn out! As you can see the setting is set. So you’ll be sewing a setting block as well as the mystery block every month. There are two options for you to decide– do you want your border dark or light? 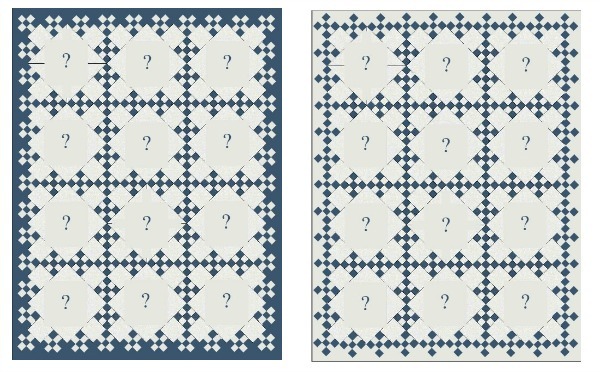 The images are only showing options for two color quilts, but this would be wonderful in scraps as well! –this is how it will work. 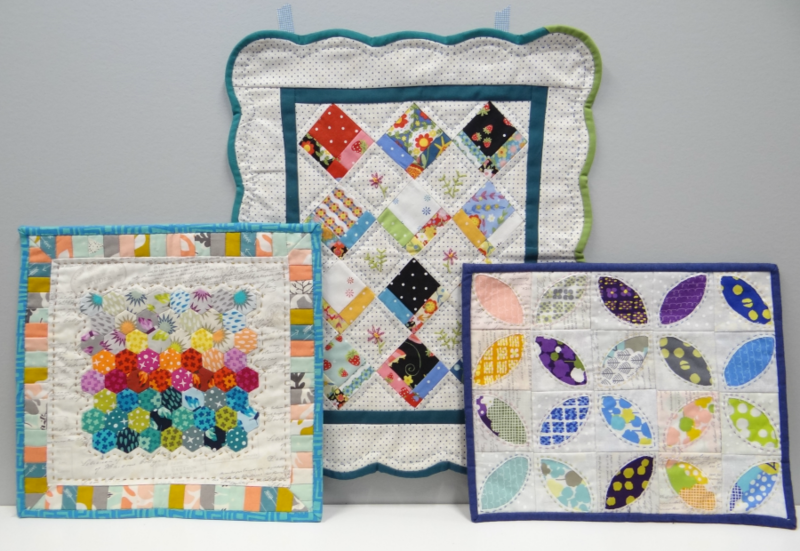 Every month the guest designer will reveal the location of the quilt block on their site. You’ll follow the link on kind of a ‘scavenger hunt’, pick up the instructions and sew the block. While you are there, you can take a look around, get to know them a little better and of course take a look at their other projects, blog and shop! At the end of the year, you’ll get the instructions for putting it all together– and you’ll be choosing what block goes where, so each one will be different from others in the group. Every year I think this is going to be the best….but the new year comes with the new designers and I have the same feeling! Really, these designers are going to be awesome! What I love is that everyone has their own style- traditional, modern, funky and fun or whatever. They each bring their own techniques as well- applique, machine quilting..etc. This year is no different as all the projects will be something that reflects them and their passion for quilting. We are lucky to get to know them and sew up a pattern before it’s released anywhere else. That is so fun! There are 12 this year, so we will have 12 additional projects in the group designed by them. Every month they will share the pattern as well as a trunk show (that’s where they share their other quilts off) and an interview. And– remember that they are also giving us a hint on the Scavenger Hunt BOM as well, adding one block to the quilt. You can take a look at their sites and see their designs, styles and you’ll get an idea of what kind of project they will be sharing. This year we are going to be working on 3 additional projects. They are mini quilts- so you’ll get to try a new technique without going overboard on the size. Small and sweet! They will featuring- english paper piecing, reverse applique, embroidery, scallop borders, and hand quilting. If you love trying something a little new, but don’t want a big project or want to give it a try on your own- these are perfect for you. They are just the right size and with the community to help, you’ll be able to finish them. Swaps— there are 3 next year to participate in. Challenges— there is going to be the occasional challenge as well. Giveaways— we are still lining up the companies that will be helping with these! They will be providing the products for giveaways for some of the activities in the group during the year. Our community is a support you can rely on. It’s a place where you can share your progress, ask questions when you get stuck or get to know others through the group swaps, challenges and other activities. Participate in more opportunities to be project leads, a featured member of the month, or help in other activities during the year -including the RETREAT coming fall of 2018! You’ll find the community area a welcoming place, no matter your background or experience in quilting. You’ll fit right in! I could go on and on, but I won’t. You can check out all the info here: https://iaquilters.com or click the join button anytime above. We are excited to welcome you to the group. The IAQ is only open 3 times during the year. Right now till the 28th of December and then the doors will close. There will be another opportunity to join in April as well as August of 2018. The best time to join is now. You’ll be able to sew along with us all year long. The yearly fee is $120. Just like any other local group these dues go towards the giveaways, designers, managing the group, and patterns. It comes out to be $10 per month. That’s one yard of fabric! When does the quilt group meet? The group meets whenever! The first full week of every month is when the new patterns will be released. The large Sampler of 2018 will be weekly during the year. Is it easy to manage and participate? You can access the group from any laptop, phone, tablet or other device- as long as you have internet access. Snap a picture and share it in our private Facebook group or in the community area. Online Community + Facebook Group Community- start sharing and finding new connections in the group. Printable pdf downloads of all patterns- start on any of the patterns or sew alongs immediately. Patchwork Planner & Journal – pdf digital version. Over 35 pages to keep you organized and on top of your projects, supplies, journaling and more. The quilt group materials can be accessed via any desktop computer, laptop computer, smartphone, or mobile devise and reader. You can choose to print the patterns or download it to your computer or phone for later use. 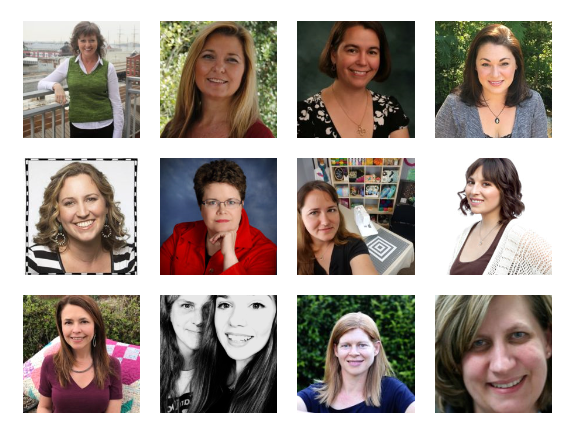 This group is self-directed and you have one year to access all patterns and printables. You can begin sewing and joining the community chat anytime! If you have any questions about the IAQ quilt group- please drop them below. I would love to clarify or answer whatever you have!